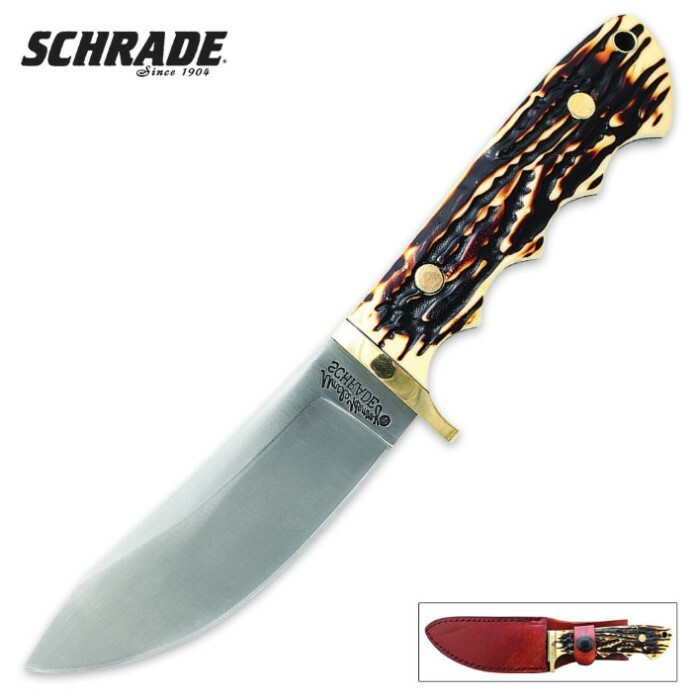 Schrade Uncle Henry Elk Hunter Skinner Knife | BUDK.com - Knives & Swords At The Lowest Prices! The Schrade Uncle Henry line combines modern high performance with a handsome, classical look and feel knife. The Staglon handle with its brass guard gives it that exceptional appearance. The full-tang 7Cr17MoV high carbon stainless steel, skinner blade gives it the high quality, tough as nails performance that you need to get a job done. 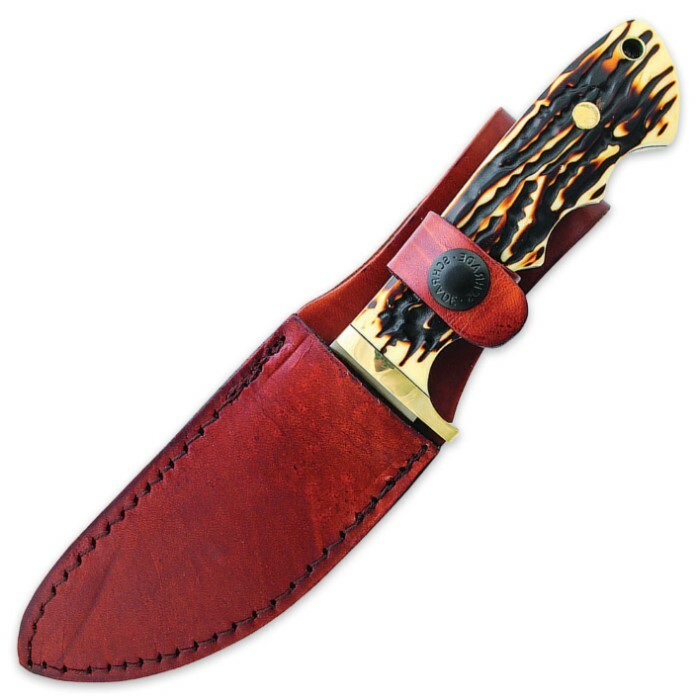 A premium brown leather belt sheath is included. Works great for field dressing large game. Also perfeck for skinning, and quartering. I processed 3 wild sows with ease with the factory edge.